Cable TV, Elevator, Golf Course, Hot Tub, Jogging/Biking Path, Library, Pool. Air Conditioning, Cathedral/Vaulted/Trey Ceiling, Elevator, Fire Alarm, Furnished, Granite Counter Tops, Smoke Alarm, Washer and dryer. Balcony, Fireplace/Fire Pit, Outdoor Living Space, Sprinkler. This exciting real estate opportunity located on the last remaining parcel in Silver Lake Village will be the first of its kind in over a decade. World-renowned architect, Tom Kundig, has designed a modern interpretation of a mountain ski lodge complemented with sophisticated interiors by Todd-Avery Lenahan. Located in the heart of Deer Valley Resort, Silver Lake’s pedestrian village offers a ski beach & direct ski-in ski-out access, along with fine dining & shopping. Connecting 40 new Residences to the iconic Goldener Hirsch Inn is a Bridge Plaza that provides a wonderful outdoor gathering space. Additional amenities feature a front check-in lobby, library lounge, valet parking, concierge, bellman, courtyard patio, fire pits, conference center, spa treatment rooms, ski-prep room, snow ski storage, apres-ski lounge, game room, konditorei, & a stunning rooftop deck with a pool and hot tub. 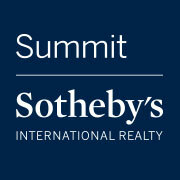 This is a premier top floor furnished residence with views of Bad Mountain's ski runs..